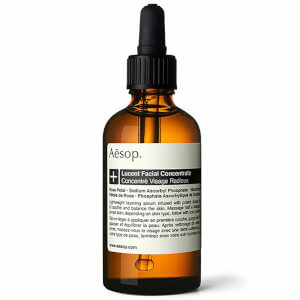 Aesop Sao Paulo is a must-have travel kit for men and women. Combining hair, body and oral care staples, the travel essential allows you to stay groomed, refreshed and polished wherever you are. Housed in a travel box. An invigorating toothpaste enriched with Sea Buckthorn, Cardamon and Wasabia Japonica for a distinctively refreshing flavour. Delivering an effective clean on teeth and gums, the cream paste will leave the mouth feeling sparkling clean and refreshed. Maintain fresh breath and optimal oral hygiene with this alcohol-free mouthwash. Formulated with Clove Bud, Anise and Spearmint Leaf, the breath-freshening solution will leave the whole mouth feeling clean and invigorated. Infused with a Mint, Spice and Liquorice flavour. A mild shampoo ideal for normal hair and frequent washers. Blending oils of Cedarwood Bark and Juniper Berry, the gentle shampoo delicately lifts away dirt and impurities while hydrating and softening with Hydrolysed Vegetable Protein. Infused with a mint and herbaceous aroma, the shampoo will leave tresses feeling clean and invigorated. A lightweight cream conditioner that deeply nourishes and tames hair. Formulated with Shea Butter and Vitamin E, the hydrating treatment is ideal for dry, stressed and chemically treated hair; it nurtures and smoothens to leave locks looking sleek and glossy. Infused with a mint, herbaceous and nutty aroma. The clear gel formula effectively eliminates dirt, impurities and excess oil to leave skin feeling cleansed and revitalised. Enriched with Geranium Leaf, Mandarin and Bergamot Rind, it features a re-energising aroma that perfectly encapsulates freshness. The mid-weight cream instantly soaks into skin without leaving it feeling greasy or sticky. Formulated with fragrant Geranium Leaf, Mandarin and Bergamot Rind, the uplifting moisturising cream adds an intensive burst of hydration, leaving skin feeling softer and restored. A gently clarifying face wash for normal, combination and troubled skin. Formulated with Liquorice Root and Blackcurrant Seed, plus Lactic Acid for mild exfoliation, the smoothing face wash delicately lifts away surface impurities to help maintain a clean complexion in polluted urban environments. Clear and moderately foaming, the refreshing cleanser is enriched with a fresh, herbaceous aroma. Soothes, rebalances and evens the appearance of skin without stripping moisture. Fortified with an antioxidant-rich blend of Parsley Seed, Blue Chamomile and Lavender Stem, the lightweight, alcohol-free toner glides over the face and neck to eliminate traces of dirt and impurities after cleansing, whilst Witch Hazel refines pores and prepares for moisturiser. Restores a calm, comfortable complexion with a floral, herbaceous aroma. A lightweight serum formulated on a soothing Aloe Vera base. Providing calming and hydrating benefits to normal, combination and sensitive skin, the refreshing serum is enriched with a complex of antioxidant and skin-softening ingredients, including Grape Seed, Panthenol and Parsley Seed. 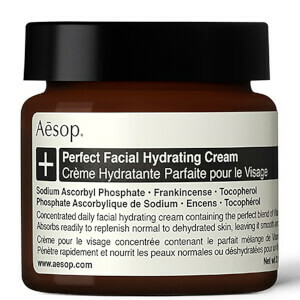 It supplies moisture to skin while mattifying for a healthy-looking, balanced-complexion. Infused with a floral, herbaceous aroma. Toothpaste: Apply a pea sized amount to toothbrush and brush in a gentle, circular motion. Mouthwash: Morning and evening after brushing, or as required, gargle 10 to 20 mL Mouthwash for up to 30 seconds, then expel. Shampoo: Three to five times weekly, prior to shampooing, brush dry hair to loosen dirt and disentangle. Wet hair thoroughly, pour product into hands, then gently massage onto scalp. Rinse thoroughly. Conditioner: Expel excess water from hair after shampooing. Dispense product into hands and apply to mid-lengths and ends of hair. Use a wide-toothed comb to ensure even distribution. Leave for two to three minutes before rinsing thoroughly. Body Cleanser: Dispense Body Cleanser directly into your hands or sea sponge. Lather and massage over soaked skin, then rinse thoroughly. Body Balm: Morning and evening, massage into freshly cleansed skin from neck to toe, concentrating on dry areas such as elbows, knees and feet. Face Cleanser: Morning and evening, pour into clean hands and lather. Massage over face and neck and leave for one to two minutes, then rinse thoroughly with warm water. Toner: Morning and evening, splash half a teaspoon onto a cotton pad or directly into hands, and pat onto freshly cleansed face and neck. 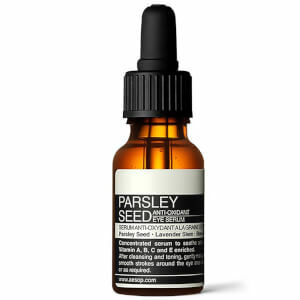 Serum: Morning and evening, dispense half a teaspoon into the hands, and massage into freshly cleansed and toned skin. Toothpaste: Calcium Carbonate, Glycerin, Water (Aqua), Cellulose Gum, Xylitol, Cocamidopropyl Betaine, Tetrasodium Pyrophosphate, Illicium Verum (Anise) Fruit/Seed Oil, Mentha Viridis (Spearmint) Leaf Oil, Sodium Benzoate, Sea Salt (Maris sal), Melaleuca Alternifolia (TeaTree) Leaf Oil, Hippophae Rhamnoides Fruit Juice, Elettaria Cardamomum Seed Oil, Eugenia Caryophyllus (Clove) Flower Oil, Wasabia Japonica Root Powder, Potassium Sorbate, Lactic Acid, d-Limonene, Eugenol, Linalool. Mouthwash: Water (Aqua), Glycerin, PEG-40 Hydrogenated Castor Oil, Sodium Benzoate, Mentha Viridis (Spearmint) Leaf Oil, Potassium Sorbate, Illicium Verum (Anise) Fruit/Seed Oil, Citric Acid, Sodium Citrate, Melaleuca Alternifolia (Tea Tree) Leaf Oil, Eugenia Caryophyllus (Clove) Flower Oil, d-Limonene, Eugenol, Linalool. Shampoo: Water (Aqua), Sodium Laureth Sulfate, Ammonium Laureth Sulfate, Sodium Cocoamphoacetate, Coco-Betaine, Cocamide MIPA, PEG-7 Glyceryl Cocoate, PEG-40 Hydrogenated Castor Oil, Phenoxyethanol, Sea Salt (Maris sal), Hydrolyzed Vegetable Protein, Cedrus Atlantica (Cedarwood) Bark Oil, Citric Acid, Lavandula Angustifolia (Lavender) Oil, Mentha Citrata Leaf Extract, Rosmarinus Officinalis (Rosemary) Leaf Oil, Ethylhexylglycerin, Juniperus Communis Fruit Oil, Melaleuca Alternifolia (Tea Tree) Leaf Oil, Mentha Piperita (Peppermint) Oil, Magnesium Nitrate, Magnesium Nitrate, Eucalyptus Globulus Leaf Oil, Potassium Sorbate, Disodium EDTA, Methylchloroisothiazolinone, Magnesium Chloride, Methylisothiazolinone, Linalool, d-Limonene. Conditioner: Water (Aqua), Prunus Amygdalus Dulcis (Sweet Almond) Oil, Glycerin, Butyrospermum Parkii (Shea Butter), Stearamidopropyl Dimethylamine, C12-16 Alcohols, Glyceryl Stearate, PEG-100 Stearate, Cetearyl Alcohol, Stearalkonium Chloride, Citrus Tangerina (Tangerine) Peel Oil, Lavandula Angustifolia (Lavender) Oil, Phenoxyethanol, Rosmarinus Officinalis (Rosemary) Leaf Oil, Citric Acid, Tocopherol, Glycine Soja (Soybean) Oil, Foeniculum Vulgare (Fennel) Oil, Mentha Piperita (Peppermint) Oil, Salvia Officinalis (Sage) Oil, Disodium EDTA, Ethylhexylglycerin, Magnesium Nitrate, Methylchloroisothiazolinone, Magnesium Chloride, Methylisothiazolinone, Beta-Carotene, Daucus Carota Sativa (Carrot) Root Extract, d-Limonene, Linalool. Contains nut oils. Body Cleanser: Water (Aqua), Sodium Laureth Sulfate, Coco-Betaine, Cocamide MIPA, Propylene Glycol, Phenoxyethanol, Sea Salt (Maris sal), Citrus Aurantium Bergamia (Bergamot) Fruit Oil, Citrus Nobilis (Mandarin Orange) Peel Oil, Pelargonium Graveolens Extract, Ethylhexylglycerin, Polysorbate 20, Magnesium Nitrate, Citric Acid, Methylchloroisothiazolinone, Magnesium Chloride, Methylisothiazolinone, d-Limonene, Citronellol, Linalool, Geraniol. Body Balm: Water (Aqua), Glycerin, Prunus Amygdalus Dulcis (Sweet Almond) Oil, Stearic Acid, Cetearyl Alcohol, Ceteareth-20, Cocos Nucifera (Coconut ) Oil, Macadamia Ternifolia Seed Oil, Glyceryl Stearate, Citrus Aurantium Bergamia (Bergamot) Fruit Oil, Citrus Nobilis (Mandarin Orange) Peel Oil, Pelargonium Graveolens Extract, Tocopherol, Aloe Barbadensis Leaf Juice, Butyrospermum Parkii (Shea Butter), Phenoxyethanol, Theobroma Cacao (Cocoa) Seed Butter, Triticum Vulgare (Wheat) Germ Oil, Glycine Soja (Soybean) Oil, Disodium EDTA, Benzalkonium Chloride, Daucus Carota Sativa (Carrot ) Root Extract, Beta-Carotene, d-Limonene, Linalool, Citronellol, Geraniol, Citral. Contains nut derivatives. Face Cleanser: Water (Aqua), Sodium Laureth Sulfate, Sodium PEG-7 Olive Oil Carboxylate, Olive Oil PEG 7 Esters, Coco-Betaine, Potassium Lactate, PEG-120 Methyl Glucose Dioleate, Sodium Citrate, Lavandula Angustifolia (Lavender) Oil, Lactic Acid, Glycerin, Simmondsia Chinensis (Jojoba) Seed Oil, Ribes Nigrum (Blackcurrant) Seed Oil, Ormenis Multicaulis Oil, Benzyl Alcohol, Phenoxyethanol, Chamomilla Recutita (Matricaria) Flower Oil, Glycyrrhiza Glabra (Licorice) Root Extract, Magnesium Nitrate, Potassium Sorbate, Carum Petroselinum (Parsley) Seed Oil, Sodium Benzoate, Methylchloroisothiazolinone, Magnesium Chloride, Methylisothiazolinone, Linalool, d-Limonene. Toner: Water (Aqua), Aloe Barbadensis Leaf Juice, Polysorbate 80, Sodium Lactate, Hamamelis Virginiana (Witch Hazel) Water, Phenoxyethanol, Lavandula Angustifolia (Lavender) Oil, Benzyl Alcohol, Sorbitol, Panthenol, Disodium EDTA, Ormenis Multicaulis Oil, Benzoic Acid, Ethylhexylglycerin, Camellia Sinensis Leaf Extract, Chamomilla Recutita (Matricaria) Flower Oil, Dehydroacetic Acid, Carum Petroselinum (Parsley) Seed Oil, Citric Acid, Linalool, Limonene, Geraniol. Serum: Aloe Barbadensis Leaf Juice, Water (Aqua), Polysorbate 80, Sorbitol, PEG-150 Distearate, Polysorbate 20, Benzyl Alcohol, Phenoxyethanol, Lavandula Angustifolia (Lavender) Oil, Panthenol, Disodium EDTA, Citric Acid, Sodium Citrate, Camellia Sinensis Leaf Extract, Dehydroacetic Acid, Ormenis Multicaulis Oil, Vitis Vinifera (Grape) Seed Extract, Carum Petroselinum (Parsley) Seed Oil, Linalool, Limonene, Geraniol.